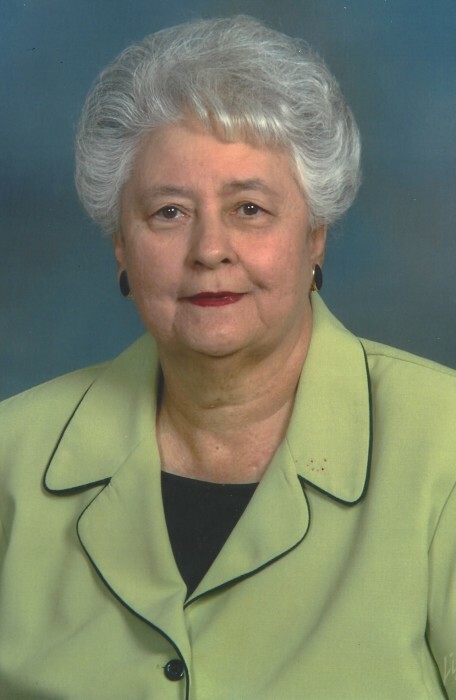 Mrs. Nadine Bazzle Bassett, 78, of Walterboro, passed away Wednesday, December 5, 2018 at The Regional Medical Center in Orangeburg. She was the widow of the late Elwood W. Bassett. Born July 7, 1940 in Walterboro, she was a daughter of the late Auddie Lee Bazzle, Sr. and Ottie Lee Craven Bazzle. She was a retired Dietary Supervisor for Colleton Medical Center where she had worked for 33 years. She was a member of Edgewood Baptist Church and had served on several committees at the church. Mrs. Nadine loved the Lord and always told others about Him, and avidly studied the Bible and scriptures. Surviving are: her daughters, Brenda B. Colson and her husband Timmy of Bamberg and Gail B. Guess and her husband Louis of Walterboro; brother, Bryan Bazzle and his wife Jannell of Moncks Corner; grandchildren, Brandy C. Azzarelli of Orangeburg and Luke Guess and his wife Shelby of Walterboro; and two great grandchildren, Katelyn Azzarelli and Charlie Azzarelli. Funeral services will be held at 2 pm, Friday, December 7, 2018 at The Brice Herndon Funeral Chapel, Walterboro. Interment will follow in Greenlawn Memorial Gardens, Hendersonville Highway, Walterboro. Flowers will be accepted, or memorials may be made to: Edgewood Baptist Church, 138 Wildwood Drive, Walterboro, SC 29488. The family will receive friends Friday afternoon from 1 until the hour of service at THE BRICE W. HERNDON AND SONS FUNERAL HOMES AND CREMATORY, WALTERBORO CHAPEL, 1193 Bells Highway, Walterboro, 843.538.5408. Visit the registry online at: www.briceherndonfuneralhome.com.